MANILA – After being absent from TV soaps for over a year, actor Jericho Rosales is excited to work on another series with people he hasn’t worked with yet. In an interview with ABS-CBN News, Rosales said his first taping schedule is set next week, and he is looking forward to working with Angel Locsin, Maja Salvador and JC de Vera. “October 18, we are going to start taping. No sure title yet but I got the latest script, it says there ‘Langis at Tubig.’ I’m very excited. It’s nice to work with people I haven’t worked with,” he said. Rosales said the series would be shown either later this year or in January next year. His last teleserye was the primetime drama "Dahil sa Pag-ibig," which was shown in 2012. It is not clear if the series is a remake of the 1980 movie "Langis at Tubig," starring Vilma Santos, Amy Austria and Dindo Fernando, which dealt with bigamy. The award-winning movie had its grand premiere on Monday. It opens in theaters on Wednesday. The Ian Lorenos-directed film recently won the Grand Jury Award for Best Narrative Feature, beating other films from the United Kingdom and South Korea at the 3rd Guam International Film Festival. Rosales was cited for achievement in acting. The movie, which focuses on the theme of human trafficking, was also awarded Best Narrative at the Third World Independent Film Festival. Rosales also clinched a best acting citation at the Newport Beach Film Festival and the First ASEAN International Film Festival. Here in the country, the actor’s performance in the movie was recognized by the Gawad Urian. Angel Locsin and Jericho Rosales, stars of ABS-CBN's newest teleserye, "The Legal Wife" excited daily commuters of the Metro Rail Transit MRT and Light Rail Transit (LRT) when they conducted their taping for the said show on the public transportation this morning. Jericho's Instagram pic of him and Angel with some passengers, which was tagged #selfiesaMRT and #selfiesaLRT, also had a caption of, "LRT fun with @therealangellocsin and manong #photobomber. Taping for the #Legalwife." Angel also posted a picture on her Instagram account, with the staff, actors and commuters in the background. "The Legal Wife" will air on ABS-CBN this November. 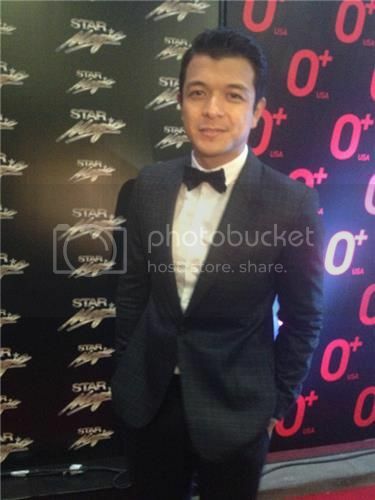 Mahigit isang taon nang hindi napapanood si Jericho Rosales sa isang teleserye. Sa susunod na taon ay muling sasabak ang aktor sa soap opera kasama nina Angel Locsin at Maja Salvador. Masayang-masaya si Jericho dahil naging bahagi siya ng The Legal Wife. “Masaya. Intense ‘yung plot pero sa set namin, masaya kami. Kalog si Maja, sobra. It focuses on marital relationships. Love story siya pero medyo malalim, medyo intense. It’s a great subject matter. Kami ni Angel ang mag-partner,” nakangiting pahayag ni Jericho. Samantala, kamakailan ay pumirma ng three-picture contract ang aktor sa Viva Films kaya muli raw nakagawa ng proyekto si Jericho sa nasabing film outfit. Ang pelikulang ‘Aba Nakakabasa na Pala Ako’ ay base sa aklat ni Bob Ong. “It’s a reunion film with Viva kasama si Andi Eigenmann, Vandolph, Meg imperial. It’s a fun 80’s film, throwback. Sabi nila, January ipapalabas,” pagtatapos ng aktor.